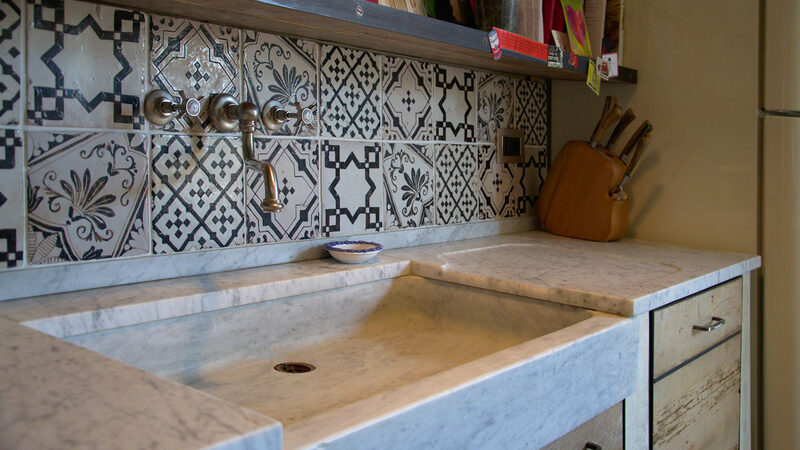 Beauty and practicality: these two adjectives must be the basis of your design sensibility when you find yourself having to choose furniture for the kitchen. 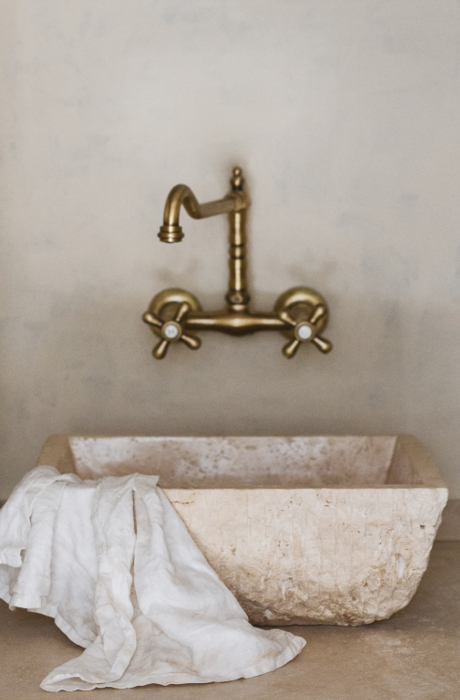 The solid marble washbasin is perfect and by itself represents an object capable of evoking the beauty of cooking, of spending time together; combining the concept of tradition with that of modernity. 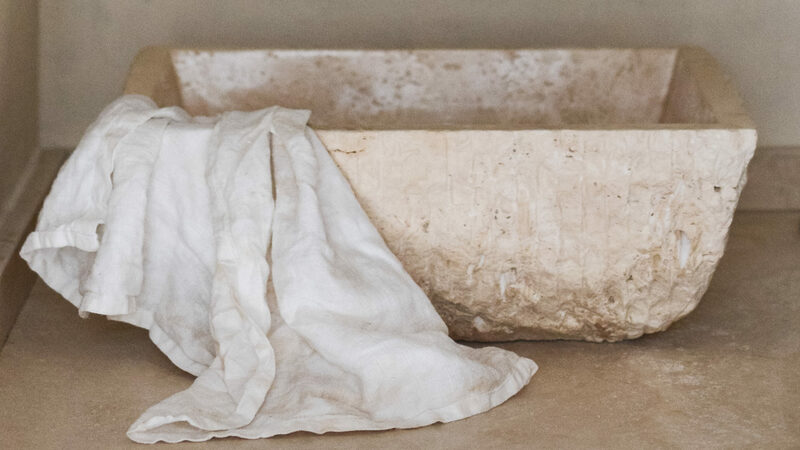 Each of our pieces is carved from a single block of stone and enhances the unique colors and textures of the natural material. 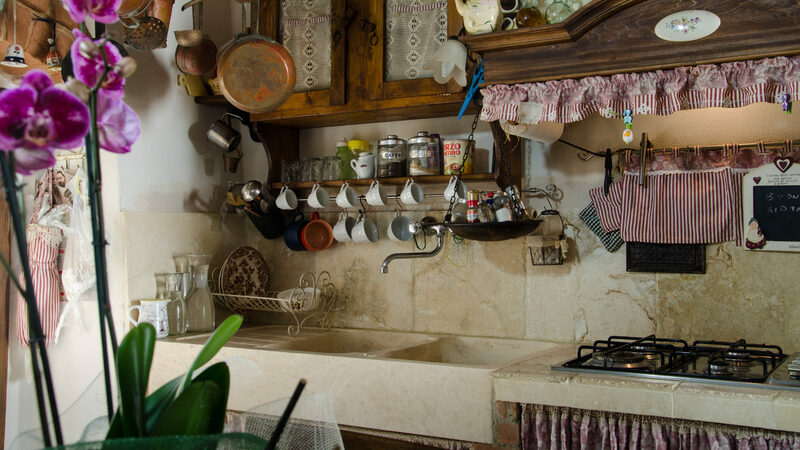 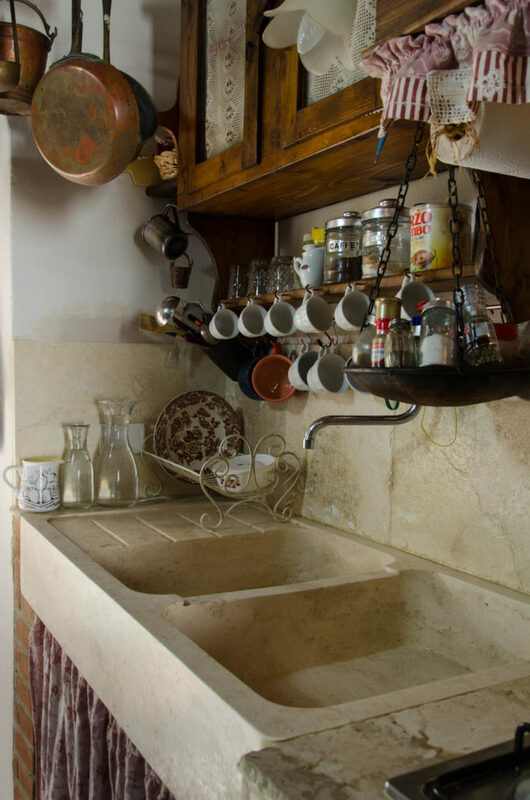 The kitchen sink in stone immediately brings to mind rustic style and a countryside atmosphere, but there are also models suitable for modern and industrial environments that, thanks to neutral and delicate colors, are compatible with different types of furniture: the Pietre di Rapolano kitchen sinks offer distinctive textures and a unique color. 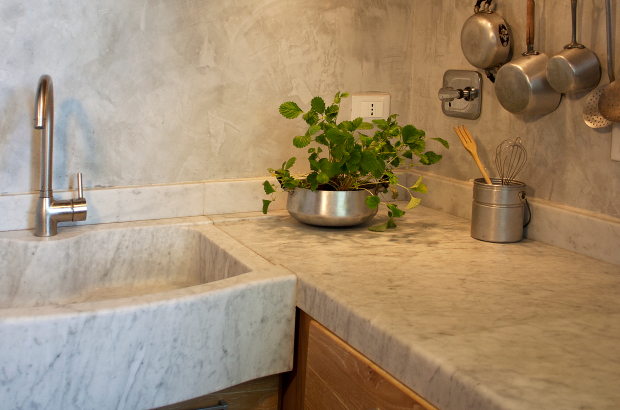 They are beautiful and their maintenance is always easy. 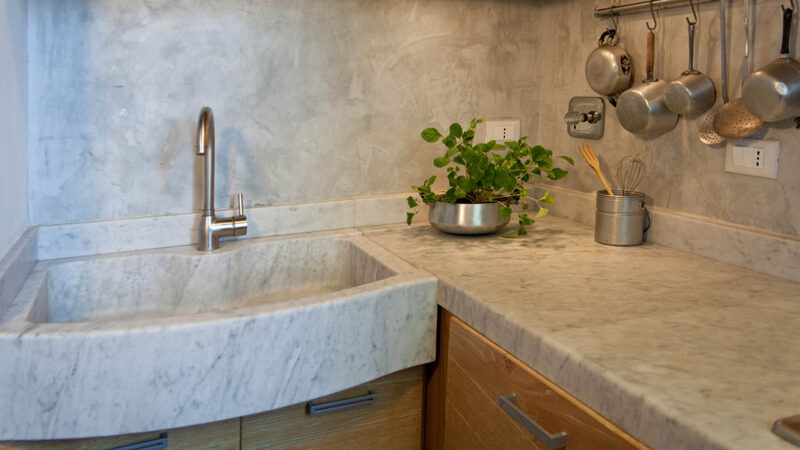 Are you looking for ideas for designing your kitchen? 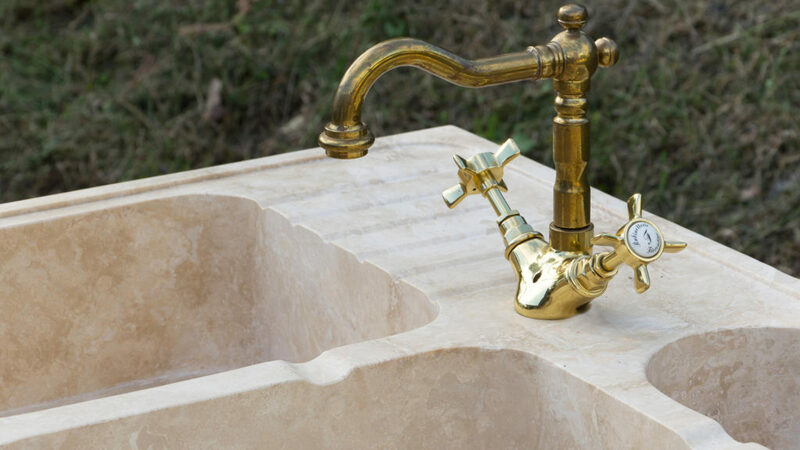 For a shabby chic style, the Country countertop washbasin, in beige travertine with two large tubs with a vintage-style faucet, is perfect. 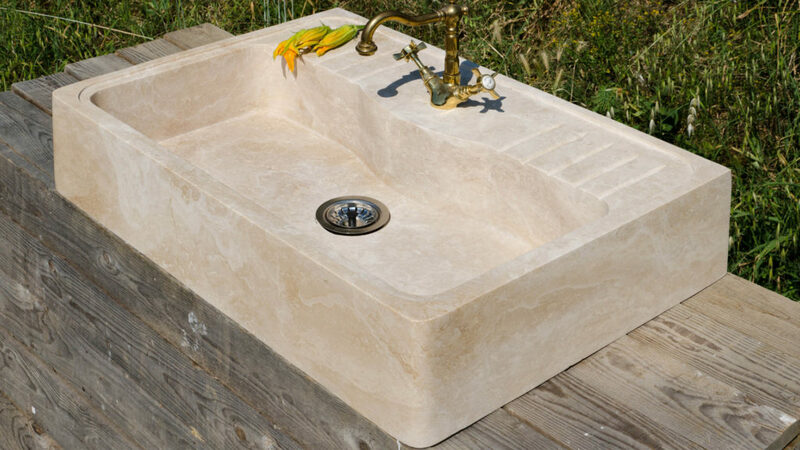 For an industrial style, the Farm sink, with high edges and single tub, is ideal for use with a recovered piece or iron top. 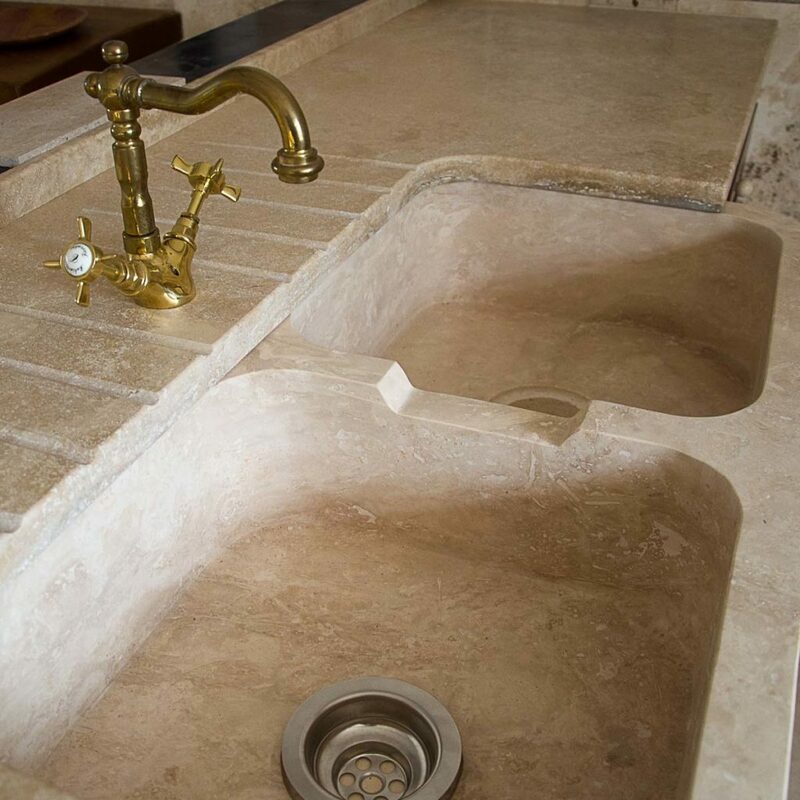 There are ten models available in the catalog, including sinks equipped with practical storage compartments and other recesses, in linear style; all unique pieces made in earth tones that combine with your style of furniture, giving the warmth and flavor of traditional artifacts. 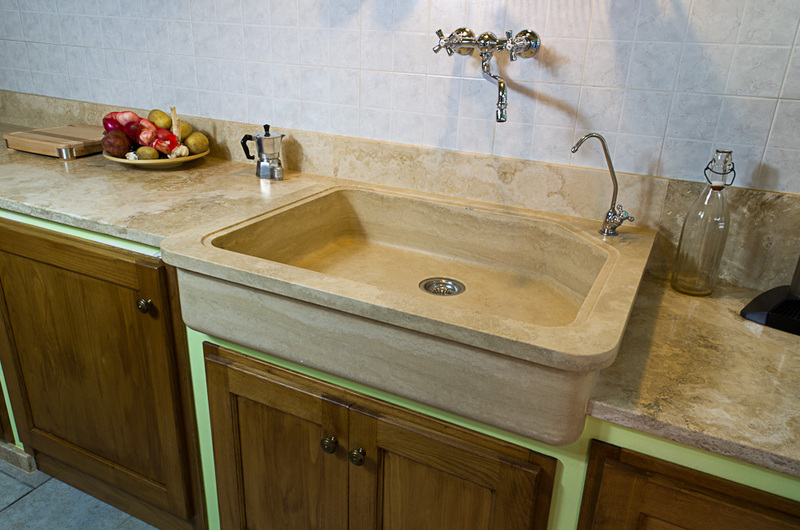 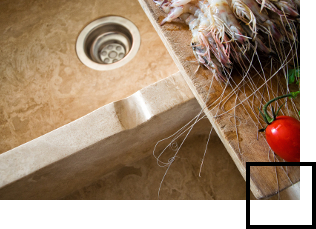 With a stylish design, your new solid sink will quickly and easily become the object of envy in the kitchen. 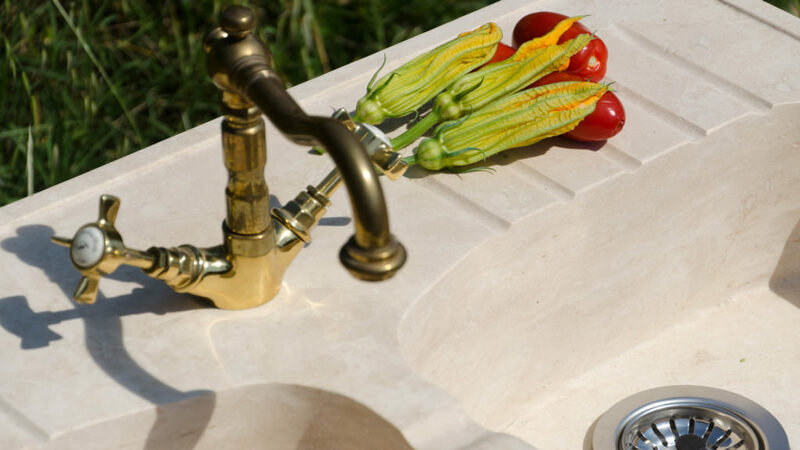 Your selection will be customizable in shape and dimension, but also in the choice of material in which to excavate it: our experts will advise you on the most suitable marbles and stones for the project’s realization. 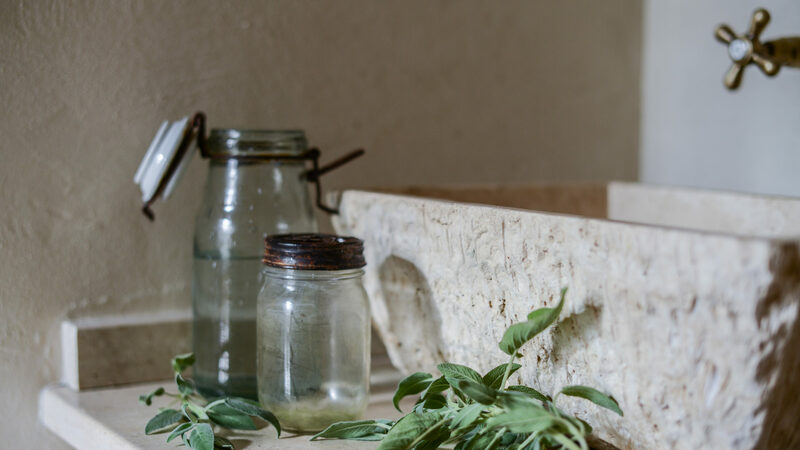 A sink created by Pietre di Rapolano does not age: use, time and even the small signs that everyday life leaves, will help to enrich and enhance it, day after day.